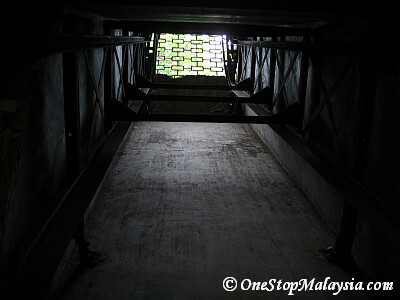 Said to be the largest war museum in South East Asia, the Penang War Museum was once a British military fortress, later used as a prisoner camp by the Japanese. The Penang War Museum (Muzium Perang Pulau Pinang) is located atop Bukit Batu Maung on the South-East of Penang island. 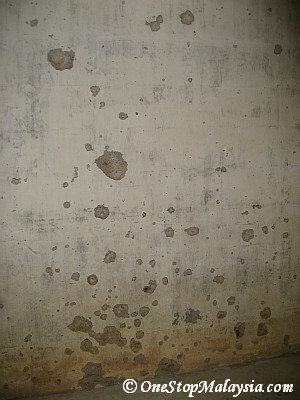 Opened to the public in 2002, it was an original British military defence fortress built in the 1930s to protect the island from enemies in anticipation of World War 2. 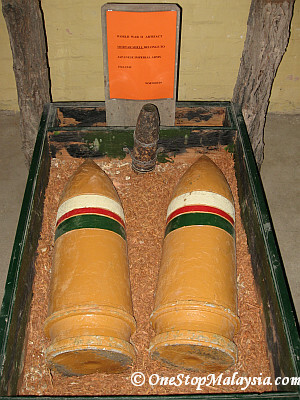 Designed by British engineers and built by South Afircans, Indians, Nepalese, Prisoners-of-War and locals. 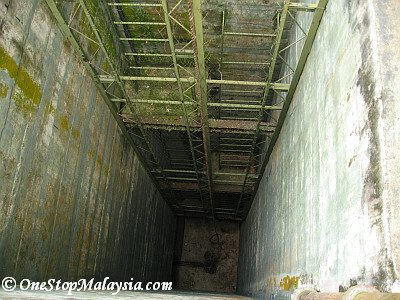 It houses a canon-firung bay, anti-aircraft firing bays, sleeping quarters for soldiers, cookhouse, lockup ad command centre. Much of what you see today is very much in the same condition as when it was built. Most of the buildings and structures have stood the test of time. One would also get and idea how the solder then lived. The barracks are designed according to rank. 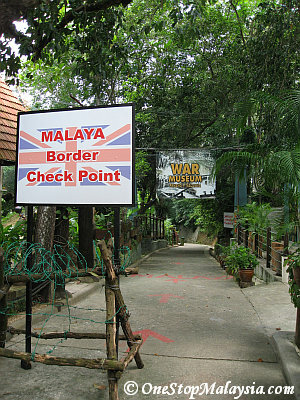 One set for British officers, others for British other ranks, Indians and Malays. You would get to see the toilet, which consists of a bucket secluded in a walled cubicle. 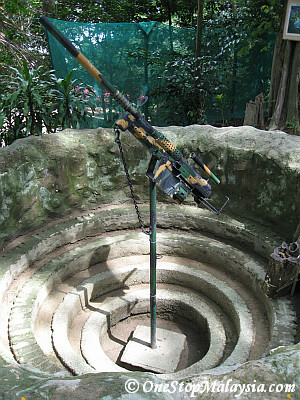 Underground pipes supplied water from a well. 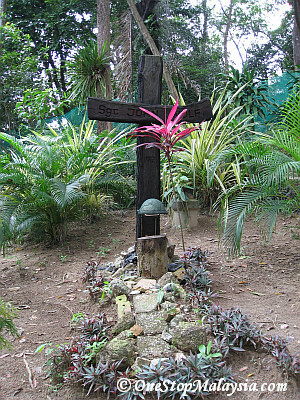 When the Japanese invaded in December 1941, it became a prisoner of war camp. It is dubbed Bukit Hantu (Ghost Hill / Haunted Hill) because hundreds of people brought there were beheaded. 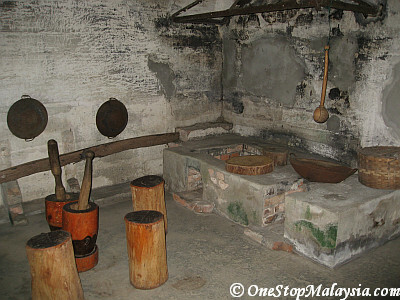 A walk through the Penang War Museum somewhat brings a visitor back in time. 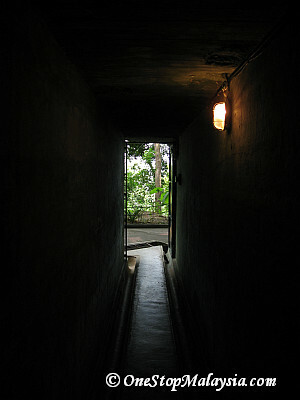 There are numerous tunnels, where one can experience what it was like being a soldier then. 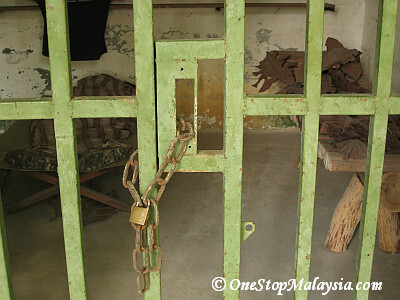 Because it was also used as a prison, there is this spooky and eerie feeling surrounding the whole place. The War Museum gives a unique experience to any visitor, and gives one an opportunity to get away from the hustle and bustle of the city. For this type of place, the pictures speak more than anything else. So enjoy the photos! Direction: It is located approximately 16km south of George Town on Penang island. Take what the locals call the Coastal Highway (Jelutong Expressway - Sungai Nibong Highway - Bayan Lepas Expressway) towards Batu Maung. Go straight for about 100m after the Batu Maung traffic light. You will see the entrance on your left. The road leading to the War Museum is a uphill and winding road.